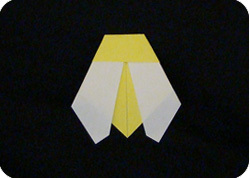 Most of the origami bees available on the internet or in books are fairly complex. This is because bees, like other insects, have many body parts (6 legs, 2 antennae, 2+ wings, and a stinger). In order to make all these appendages, one must be an accomplished paper folder. 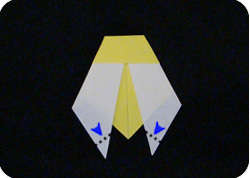 The paper bee shown here is made easy because a yellow sheet of paper is used (and black stripes colored upon it) and because it has the general shape of a bee without the details. 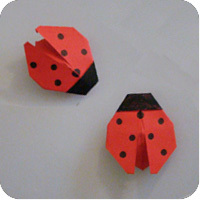 These bees are so easy to make, you will want to make a hive of them. 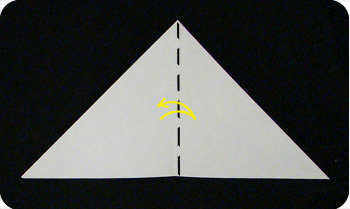 Take a yellow, square sheet of paper and cut it along the diagonal so it becomes a triangle. 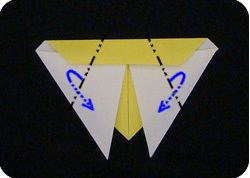 With the white-side facing up, fold the paper in half and unfold. 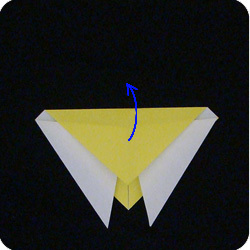 Fold up the bottom-corners so the tips meet at the peak of the triangle. Fold down the two flaps but fold it at a slight angle so the tips spread apart from one another and look like wings. 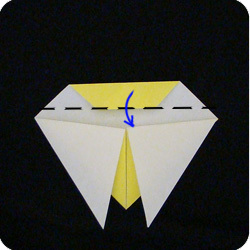 Fold down the back-layer of paper. 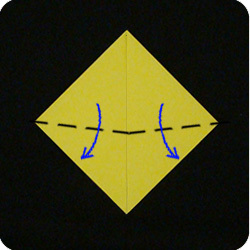 Don’t fold exactly in half; instead, leave a small gap. 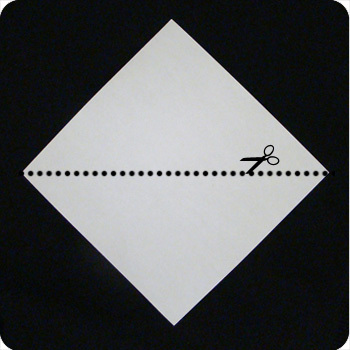 Make the back-layer more narrow by folding it into thirds. Then refold the crease made in step 5. Fold back (mountain fold) a good portion of the left and right sides of the model. Adjust the paper until the shape is of that of a bee and that the left and right sides are symmetrical to one anoher. Press down to establish the folds. 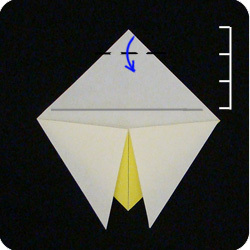 Fold back the wing tips. 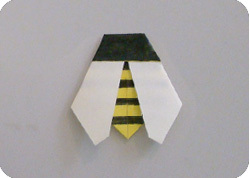 Color the bee’s head black and color stripes across its back.